English producer Nelson’s Distillery has expanded its portfolio with the launch of two rums, each made with spirits from Barbados, Jamaica and the Dominican Republic. Nelson’s Signature Blend Rum and Nelson’s Roasted Pineapple Rum are bottled at 42.5% abv To create Nelson’s Signature Blend Rum and Nelson’s Roasted Pineapple Rum, three rums sourced from distilleries in Barbados, the Dominican Republic and Jamaica are blended together and aged in oak barrels for three years. To make its Roasted Pineapple Rum, Nelson’s then adds “natural” flavorings to the blend. Neil Harrison, founder and master distiller, said: “We know that rum is the next big trend here in the United Kingdom, especially flavored rum. As a forward-thinking, proactive business, we wanted to ensure that our expansion not only includes the development of our signature gin range, but also places us firmly at the forefront of this exciting new marketplace”. 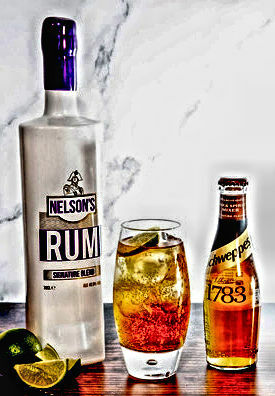 Bottled at 42.5% abv, Nelson’s Signature Blend Rum and Nelson’s Roasted Pineapple Rum are priced at $52.00 per 700 ml bottle. The launch follows the news that Nelson’s has expanded its sales team as it looks to grow its presence in the UK. Rosie Peters and Lara Marshall have both been appointed as account managers for the business. 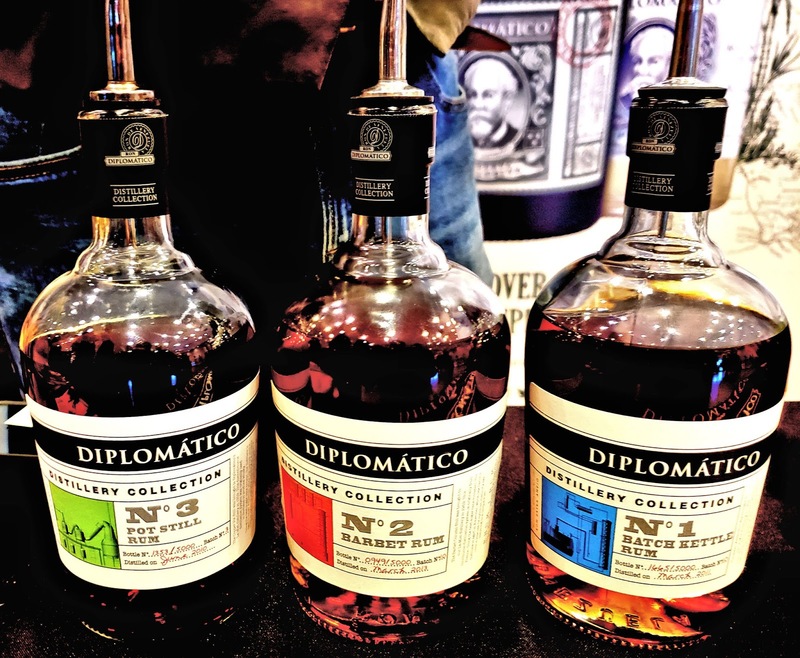 Venezuelan rum brand Diplomático has completed its Distillery Collection with the third and final release in the series – No. 3 Pot Still Rum. The Diplomático Distillery Collection aims to showcase the different distillation methods used to create the brand’s range of rums. First launched in 2017, the collection comprises No. 1 Batch Kettle Rum and No. 2 Barbet Rum. The latest release, No. 3 Pot Still Rum, is created in the copper pot still that was first used at Diplomático’s La Miel distillery in 1959. The pot still uses sugarcane honeys and a prolonged fermentation process. The spirit is then filled into small American white oak barrels to age. This is the third of the three numbered series rums from Diplomatico, it is described as having aromas of red and tropical fruits with toffee and vanilla. On the palate, the flavors develop into wood combined with coffee and dark chocolate. 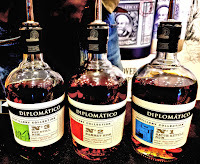 Jon Lister, UK brand ambassador, Diplomático, said: “The rum is essentially a look behind the curtain to show the flavor profile behind the traditional range. “It’s not to replace anything in our portfolio, it’s to support and showcase the traditional range.” Diplomático Distillery Collection No. 3 Pot Still Rum will be available from select retailers at an RRP of $78.00. There is nothing more inviting than an empty hammock between two palm trees on the beach. Seems that most everywhere I go I can find this inviting sight. 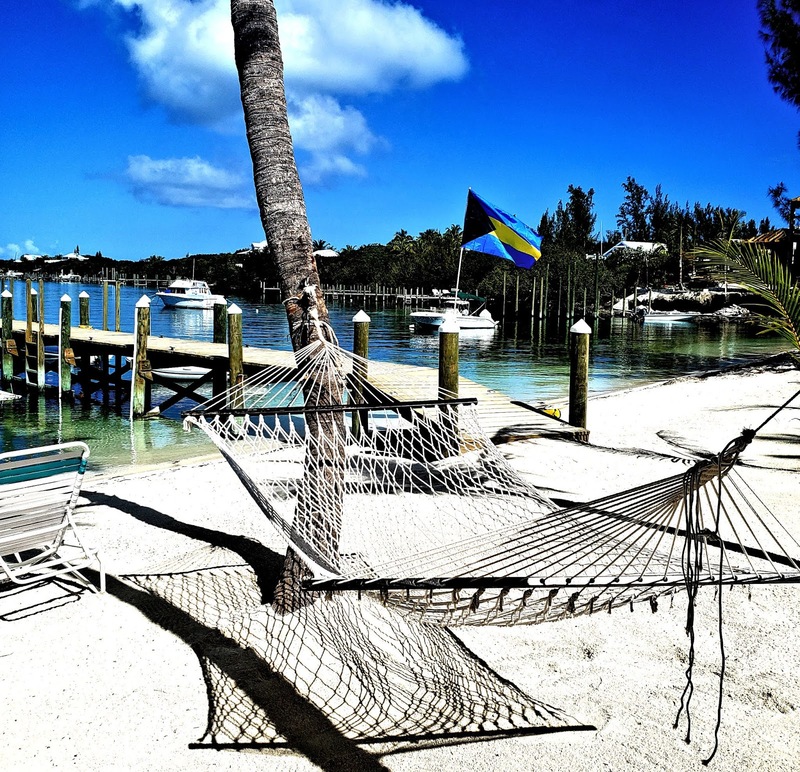 This Hammock on Abaco, The Bahamas,Great Guana Cay made me happy relaxing on the beach with a nice rum on the rocks lazing in the sun. The Barbados rum Mount Gay has announced a new master blender, who represents a first for the company. 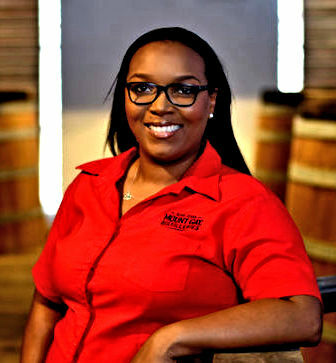 The 300-year-old rum brand has appointed Trudiann Branker, who steps into the role after a five-year apprenticeship with outgoing master blender Allen Smith. Trudiann Branker will be responsible for overseeing hundreds of casks of ageing rum and hand-picking each one that goes into every blend. The new master blender graduated from The Siebel Institute, the Institute of Brewing and Distilling and has more than 11 years’ experience working in the spirits industry. She joined Mount Gay in 2014 as a quality assurance manager and has followed the same path as former master blender Allen Smith. Smith, who boasts more than 25 years’ working at Mount Gay, has held the position of master blender since 2005. He was responsible for bringing blends such as Mount Gay XO and Mount Gay 1703 to market. Spanish drinks group Beveland has extended its Ron Relicario rum range with a new peated expression. Relicario Peated Finish has been aged for between five and 10 years in the Dominican Republic. It was finished for an additional six months in American oak barrels that previously contained peated malt whisky from Speyside. The expression is described as having “a unique flavor with aged notes and smoky nuances of peat and malt”. The product made its debut at the trade fair ProWein in Düsseldorf previously this month. Beveland expanded its portfolio back in February with the introduction of new expressions, a brandy barrel-finished rum and an elder flower-flavored liqueur. 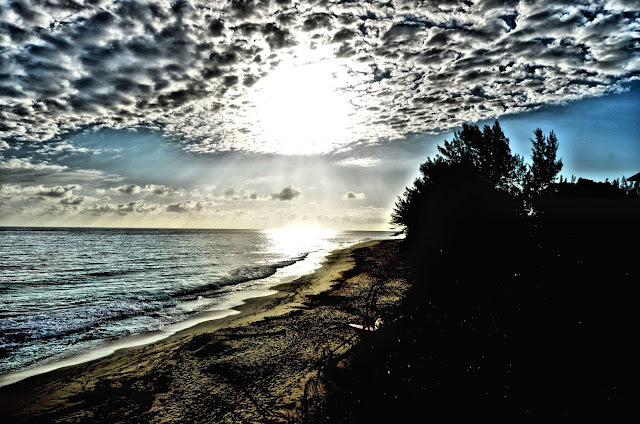 I love to get up relatively early in the morning to walk along the dune. You see some very beautiful things as you gaze out over the water. This life is so wonderful, I wouldn't trade it for anything. Enjoy the view. 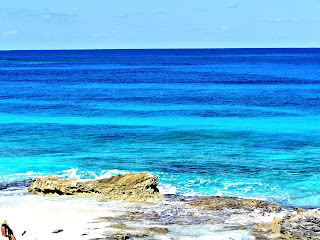 Heading today for “Camp Great Guana” in the Bahamas. Four fun days of party and great music. The Barefoot Man George Nowak is playing is final concert there this weekend. We have been to Nipper’s for his concerts since the mid 1990’s and George has become a good friend over the years. 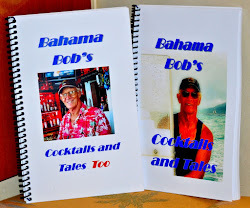 Looking forward to seeing and hearing him for the final time at Nipper’s on Great Guana Cay along the ”Crystal Sea”. 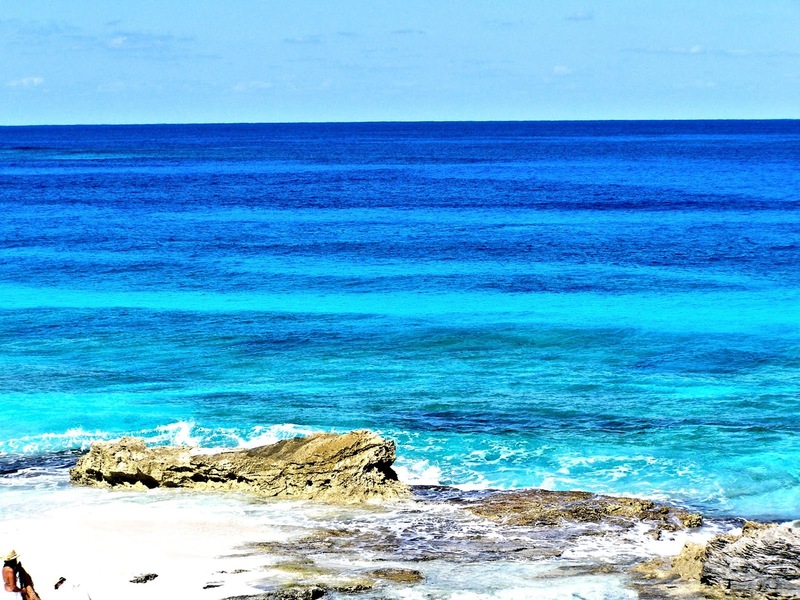 It is a long, narrow islet, 7 miles long, It is in the center of the Abaco Islands and is near Gurnelemi Cay. It is located about 8 miles from Marsh Harbour. There are approximately 150 people that live on the island, mostly along the five and a half mile long stretch of beach on the east side of the island overlooking the Atlantic Ocean. 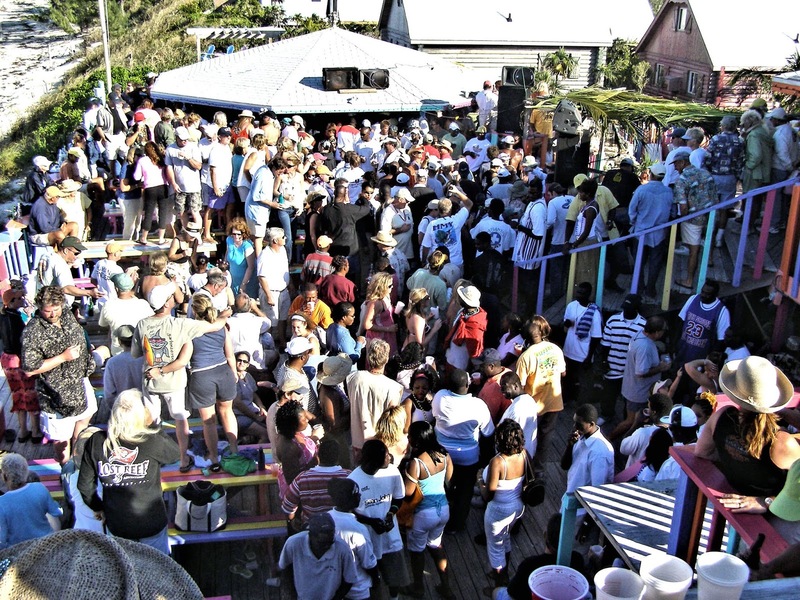 Great Guana Cay's settlement is known for its loyalist culture and architecture, as well as its social scene. Several traditional loyalist homes are in the settlement, which wraps around a natural harbor. Nipper’s and Grabber’s located around the area of Guana Harbour is one of the biggest tourist attractions on the island.